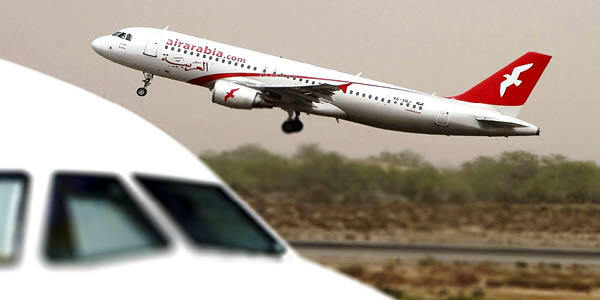 Middle Eastern air carriers, such as Air Arabia, continue to lead the industry in growth. Hitting bottom might be a sign of better things to come. Freight demand was down 4.2 percent year-over-year, according to the International Air Transport Association's (IATA) April 2012 global traffic results. While some of this volume degradation can be attributed to monthly volatility, some signs indicate that different areas of the world may be on the cusp of a growth trend after bottoming out at the end of 2011. Middle Eastern airlines, for example, are responsible for 80 percent of current cargo level improvements. Still, IATA is cautious about any mid-term optimism as Europe's economic woes continue to unfold. Asia-Pacific carriers saw a 7.3-percent decline in demand in April, well ahead of 4.1-percent capacity cuts. This reflects weakening exports from China. European airlines saw a 4.9-percent fall in cargo traffic compared to 2011, despite cutting capacity by 0.2 percent. North American carriers showed a 6.4-percent drop in demand, with a 2.9-percent cut in capacity. Latin American carriers recorded a 3.6-percent fall in demand, even though capacity expanded by 8.8 percent compared to April 2011. Middle Eastern carriers were a bright spot, with a 14.5-percent increase in demand. But this was behind a 15.1-percent increase in capacity. African carriers showed a 6.1-percent increase in demand, behind a nine percent increase in capacity. U.S. efforts to secure supply lines at the point of origin reached another milestone with the recent agreement between the U.S. Department of Homeland Security and Singapore's government. The agreement reaffirms a shared commitment to address global supply chain security, while facilitating and sustaining trade growth.